Although temperatures are still quite hot, the holiday season is over and I am back to share my experiences with you again. 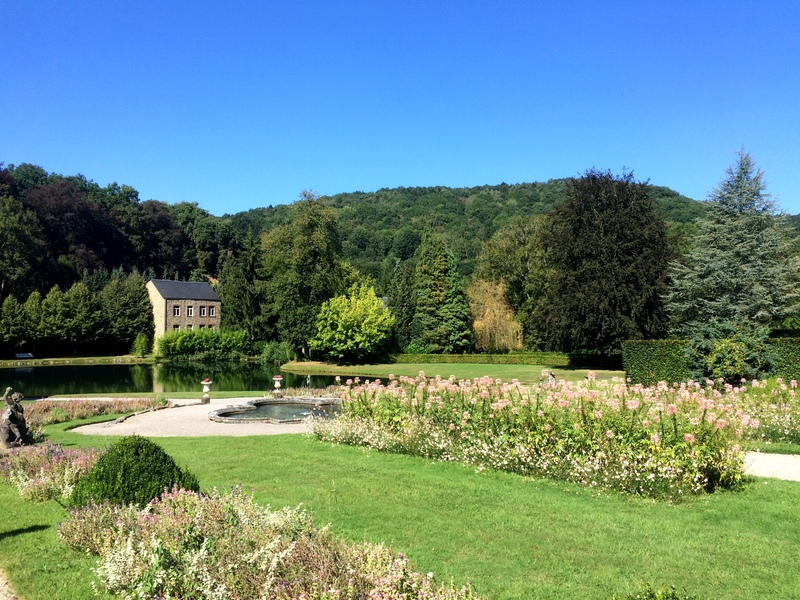 One of the recent places we visited are the gardens of Annevoie, nicely situated near the Meuse river in between Namur and Dinant. 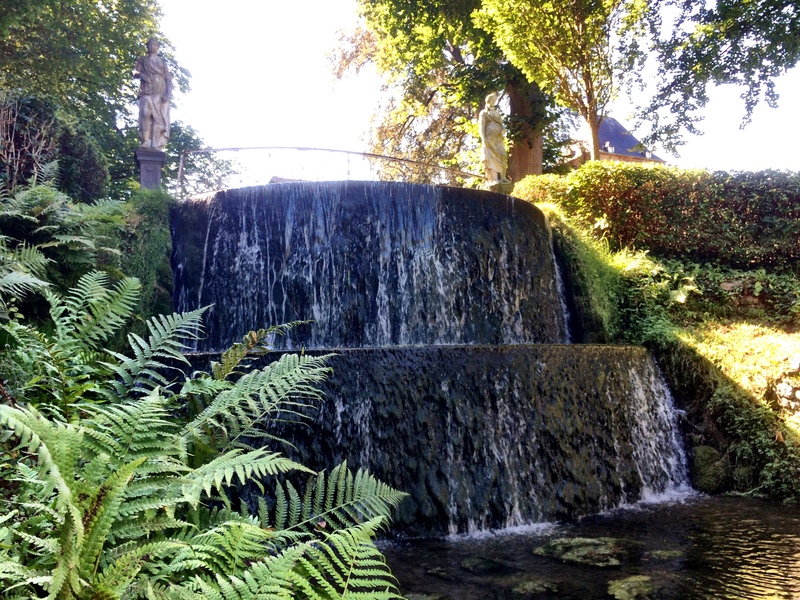 The gardens of Annevoie are famed for its many water features and its rich history. 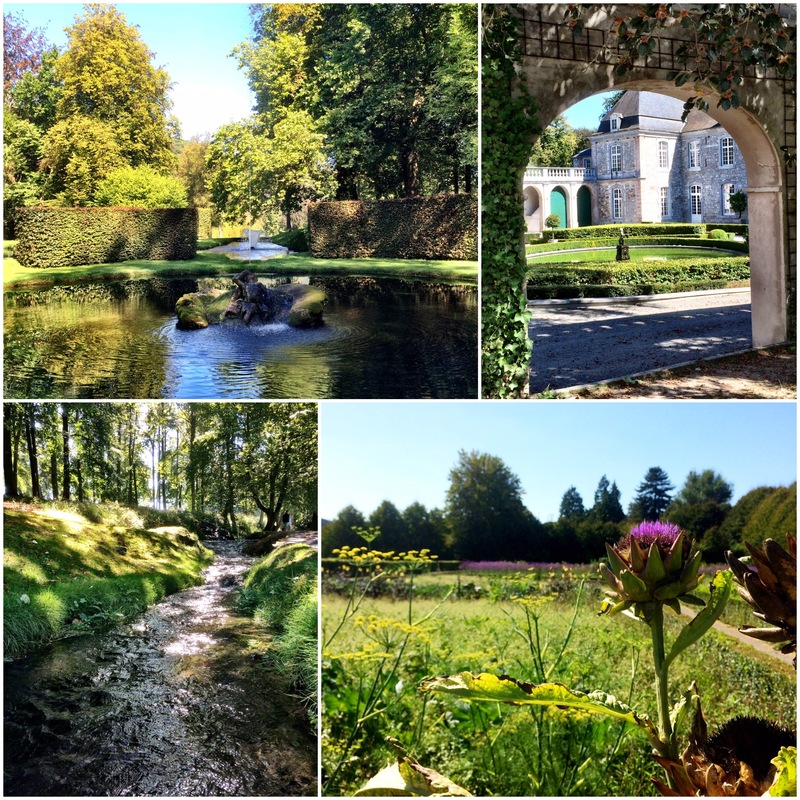 These gardens were designed by Charles-Alexis de Montpellier, whose family owned the Annevoie estate since the early 17th century. 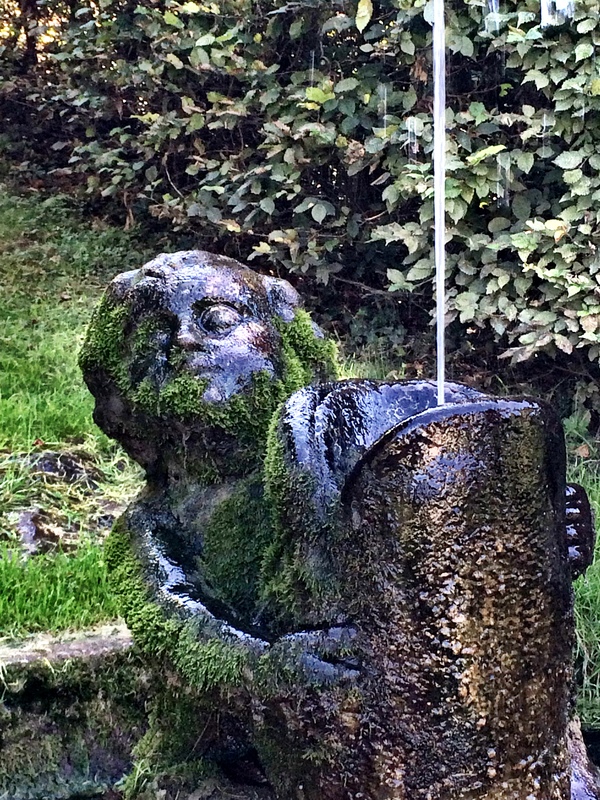 The works on the garden started in 1758 and the water has been running constantly since then. The 50 water features in this garden all work without any pumps and machinery and rely on the laws of gravity. On top of the garden is a big reservoir where the water of the Fonteny spring is gathered and from here distributed to the lower fountains, waterfalls and streams. The de Montpellier family owned the estate until 2000 and throughout this time adapted the garden to the latest trends, making it a garden that reflects the three big styles : The more strict French style, enhancing nature, The Italian style, in tune with nature and the English style, imitating nature. It truly is a pleasure to wander around, constantly surrounded by the calming sound of running water. Century old trees give some welcome shade and there is even a large kitchen garden. One of the highlights are the 18th century 7 meter high waterjet, which was quite impressive at that time. I also really enjoyed the more romantic corner, where smaller fountains are interconnected with naturally covered paths and secret nooks. All over the park you can also find some metal trompe-l’oeil statues and I really loved the artificial grotto of Neptune. 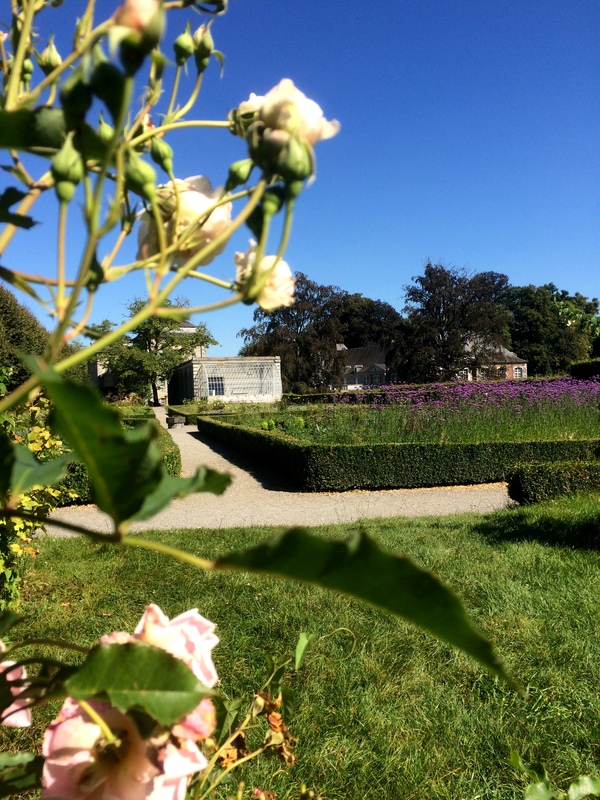 Most of the gardens are in real good condition and well kept, the kitchen garden could do with some weeding. With Autumn coming I think this place must be quite nice as well when the colored leaves give the garden another atmosphere once again. 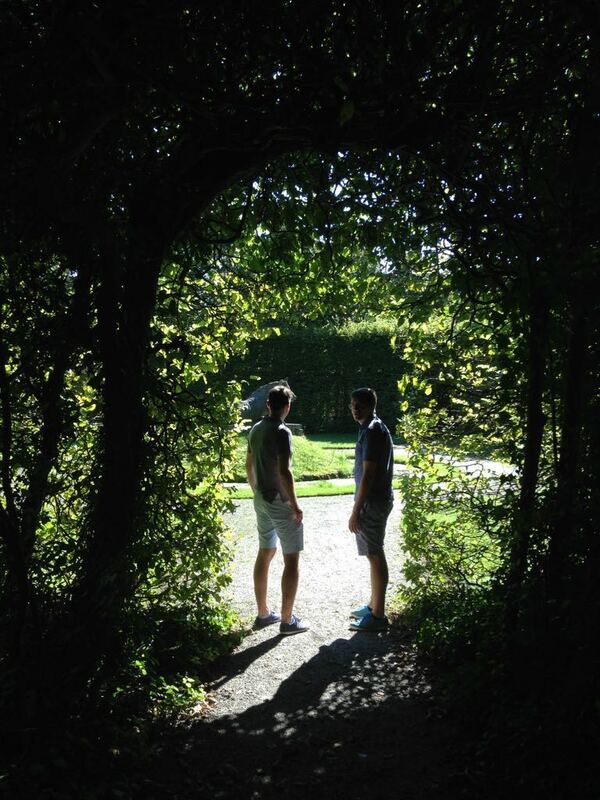 After your visit you can rewind at the Bocow bistro, which offers a nice view on the gardens and local dishes. They also offer local Belgian wines, beers and fruit juices in their shop. 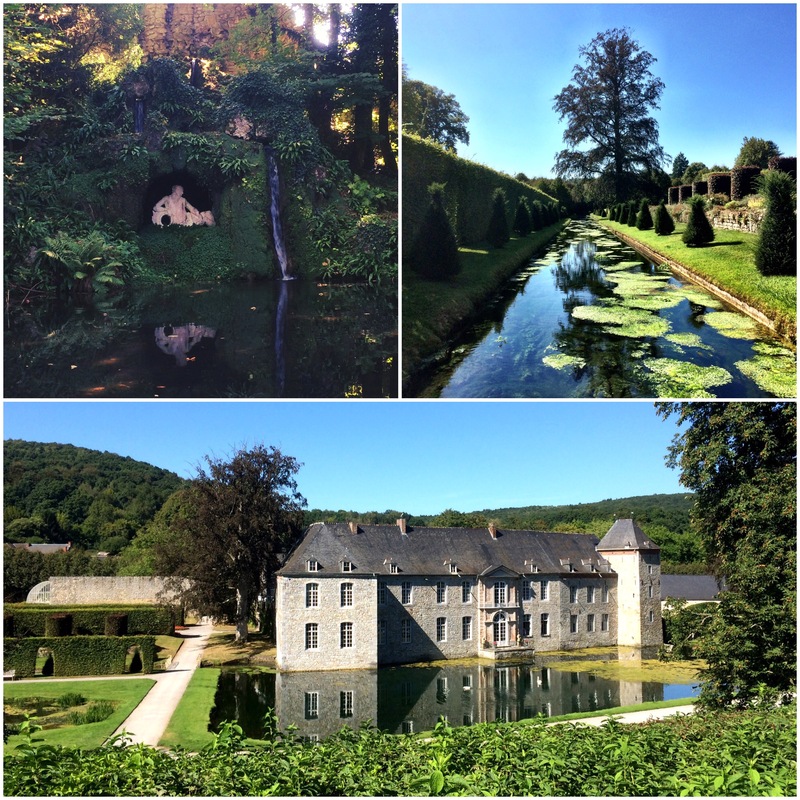 The gardens of Annevoie are surely worth a visit and offer a rare example of 18th century garden history in Belgium. Another one for my wish list… Thank you for the insight. It looks a wealthy and welcoming place. Beautiful place! I could wander and relax there for hours.